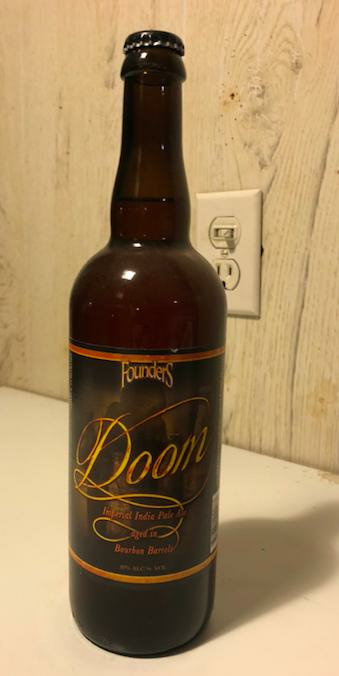 You are purchasing an un-opened bottle of Founders Doom. This bottle has been properly cellared in my cool, dry basement since purchased in 2013. I am the original owner of this bottle. I will only ship to the lower 48 states, and I only accept PayPal. I will combine shipping for multiple items purchased ($15.00 for the 1st bottle and $2.50 per additional bottle). Please check out my other listing and save on shipping! Unable to update photo, but can send upon request.